Android Wear devices mostly hover around $250-350, depending on the specs and features they offer. Tag Heuer has no use for "conventional" pricing. Its first watch, the Connected, was priced at $1,800. Now, the second one is a little more reasonable (but only a little). 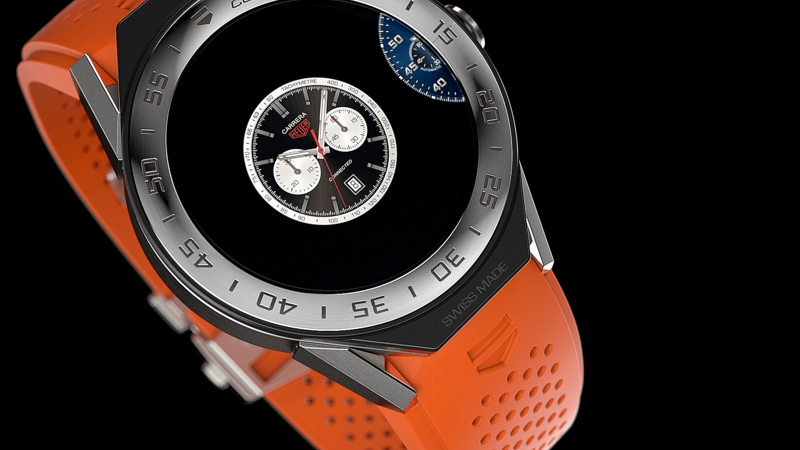 The Tag Heuer Connected Modular 45 starts at $1,650. You can spend over $6,000 on one if you want. The modular aspect of the design means there are 56 different versions of the new Connected to available for purchase (over 500 combinations with additional parts). 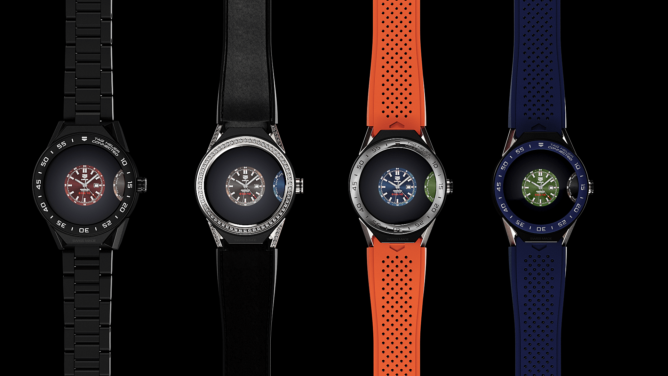 You can take your pick from different bezel designs, straps, and lugs. However, many of the options come with a large price bump. You want anodized blue aluminum? That increases the price to $1,700. Ceramic case? That'll be $2,200 to $3,300, please. The gold and diamond-encrusted versions will cost thousands more. The most expensive version I've seen listed is $6,750. For a smartwatch. Part of the modular aspect is that you can swap out pieces of the Tag Heuer Connected Modular 45, assuming you have spares. You can even take out the smartwatch core and replace it with a Calibre 5 or Heuer 02T Tourbillon mechanical watch. That will, of course, cost you a lot more money. The Tag Heuer Connected Modular 45 does look like a rather large watch. It has a 1.39-inch AMOLED display with a 45mm case. Inside is an Intel Atom Z34XX SoC, 4GB of storage, a 410mAh battery, and 512MB of RAM. It's also got WiFi, Bluetooth, NFC, GPS, and an ambient light sensor. It does not have LTE (okay) or a heart rate sensor (not okay). Look, if I'm paying $1,650 for a watch, it better not be missing anything basic like a heart rate sensor. That's just dumb. It will ship with Android Wear 2.0 at least. The new Tag Heuer watch is available for purchase right now in the US, UK, Hong Kong, Australia, Europe, Malaysia, and Singapore.